Latest amazing offer by Ocean Designs (GB) Ltd, an Ex-display beautiful dining table with 6 wooden painted chairs on offer for only £999, a saving of £200. 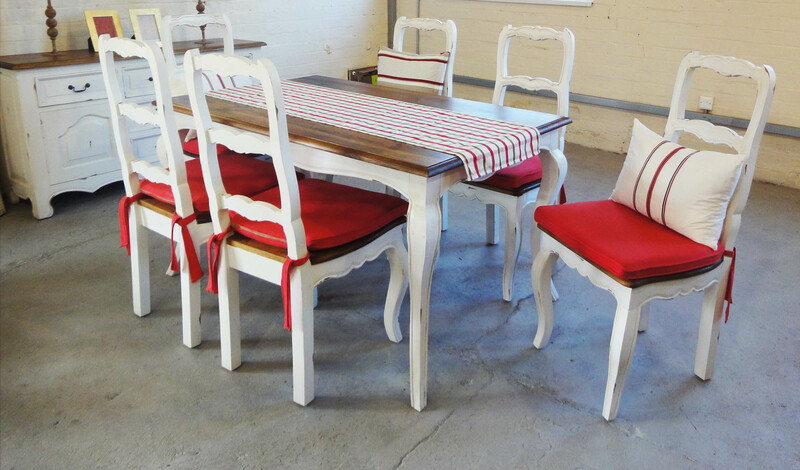 This stunning and elegant range is part of our Parisian Range and includes the red seat pads as shown. Once it goes, it’s gone, so don’t delay, pop into Ocean Designs today! !